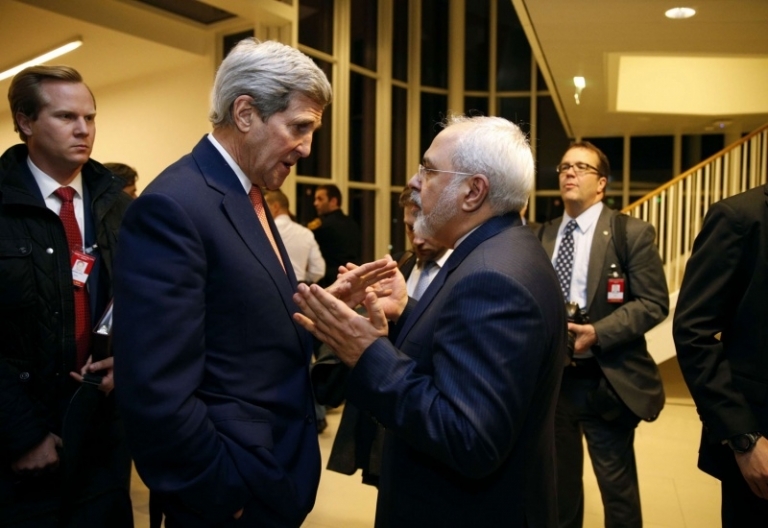 Former US Secretary of State John Kerry angered President Donald Trump and the conservative camp when he acknowledged this week that he had continued to meet with Iranian Foreign Minister Mohammad Jawad Zarif. “John Kerry has held illegal meetings with the hostile Iranian regime, which will only undermine our good work at the expense of the American people,” the president wrote on Twitter on Thursday night. “They have been asked to wait until the end of the Trump administration, , “Hinting that these meetings were held without the knowledge of US diplomacy. As part of his campaign to promote his memoirs, Kerry, who served as secretary of state under President Barack Obama and negotiated a nuclear deal with Iran in 2015 and established a personal relationship with his Iranian counterpart, acknowledged that he had met Jawad Zarif “three or four times” Leaving the ministry and assuming Trump presidency. Kerry was asked Wednesday by conservative radio host Hugh Hewitt for advice he could give Jawad Zarif to face Trump’s decision to withdraw from the nuclear deal. “No, that’s not my business,” he said. “I just tried to understand what Iran could be willing to do to improve the situation in the Middle East,” he said. “You have to admit that the world is unhappy with what is happening with your missiles, with Hezbollah, with Yemen,” he said. “This is in contradiction to the position of the US administration, which is attacking the aggressive behavior of Iran in the region. Conservative commentators quickly considered Kerry’s act a “betrayal”, and some even felt he deserved “imprisonment”. “We are talking about a former foreign minister who is in talks with the main state supporting terrorism in the world, and according to him, he was telling them to wait until the end of this administration,” Pompeo told a news conference. For his part, a spokesman for Kerry said “there is nothing unusual” in that “former diplomats meet with their foreign counterparts.” “What is inappropriate and unprecedented is to use a press conference of the State Department in such a political play,” he said in a statement. According to the spokesman, the former US Secretary of State conducted a “lengthy telephone conversation earlier this year with Minister Pompeo, during which he elaborated on what he learned about the Iranian situation.” “Nothing has been hidden from this administration,” Kerry’s spokesman said. During a parliamentary hearing on Thursday, Assistant Foreign Minister Manisha Singh was asked about the matter, saying it was “sad that people from the previous administration are trying to undermine the progress we are trying to make.” “If these meetings are confirmed, they are inappropriate,” she said.